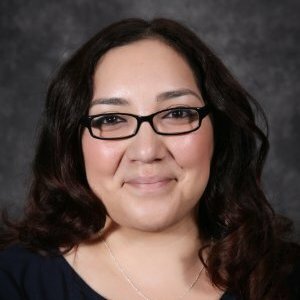 Jessica Deharo is a Refugee Officer at the U.S. Department of Homeland Security, Refugee Affairs Division. She obtained her Master of International Affairs degree at Texas A&M University Bush School of Government and Public Service, concentrating on American diplomacy and foreign policy; intelligence as an instrument of statecraft; and national security and defense. Previously, she was a Security Fellow and a Graduate Student Fellow for the U.S. Department of Defense, a Military Services Specialist at the Department of Veterans Affairs, and an Aircraft Maintenance Administration Specialist for the U.S. Marine Corps. Currently, in her role as a Refugee Officer, she reviews applications and security checks, conducts interviews, and determines eligibility of applicants requesting admission into the United States. She continually researches immigration laws and relevant country conditions to interpret and apply U.S. immigration law and policies. A: I wanted a degree that would help me better understand the international context. I studied political science for my undergraduate degree and was always fascinated with the one International Relations (IR) class that I had taken. After graduating, I decided that a degree in IR would be best suited for what I wanted to accomplish in my career. The moment came when I was decided what I wanted to be when I ‘grew up’. I stumbled upon the Department of State’s website for Foreign Service Officers (FSO) and felt that this is what I wanted to do. After more digging I started seeing a trend that most FSOs had a degree in IR. A: Being from predominately Hispanic-serving institutions and a town where the majority of people are of Latin heritage, it isn’t very likely that many seek higher education. I didn’t have mentors or someone to bounce ideas off of when I decided to pursue my master’s degree. I had to look at programs and schools on my own. I overcame them by being dedicated to receiving a master’s degree in my chosen field. I made a conscious effort to not stop until I was accepted to a program that fit me and my career goals. Q: How and why did you choose Texas A&M University Bush School of Government & Public Service to pursue a graduate degree? A: I chose the Bush School because during my search for an IR program, my friend, who is also a Bush School graduate recommended the program. She was a Master of Public Administration student and had taken some IR classes during her time at the Bush School. She loved the experience and education she received and suggested that I look into the program. I encourage those who are interested in graduate school to reach out to current students and alumni to get insider opinions. Being from Texas, I had heard about Texas A&M and was excited to receive a fantastic education that rivals that of east coast schools but is closer to home. A: I studied mostly national security and diplomacy during my time at the Bush School, but there was one class I took that focused on migration in Europe, the refugee crisis, and how European countries where handling this crisis. This interest led me to travel to Germany to speak with politicians that handled the refugee situation, see refugee housing, and meet with Syrian refugees in the country. This experience helped me realize that the refugee crisis was not only a European issue but a global one. When I saw that there was a Refugee Officer position within the Department of Homeland Security, I jumped at the chance to be involved with resettlement. A: Don’t limit your potential just because of your background. Sometimes you won’t have the support that others have, but that doesn’t mean you shouldn’t try for something that you want. Just like the great Wayne Gretzky said, you miss 100% of the shots you never take.